The Grey Wardens hold a lonely vigil, enduring lives of hardship and sacrifice to protect the world from an evil that can never truly be conquered. Few would volunteer for this: the suffering, isolation, and promise of a violent death. But the path of a Warden is also one of valor, and those who give themselves to the cause are rewarded with the knowledge that they have become something more than they were. 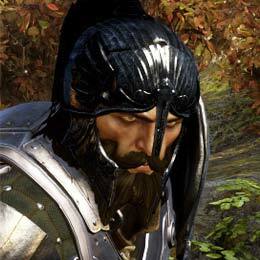 Blackwall is one of the rare few Wardens who chose, of his own accord, to pick up the shield. He believes so wholeheartedly in the noble ideal of the Grey Wardens that he would rather have this life than any other.